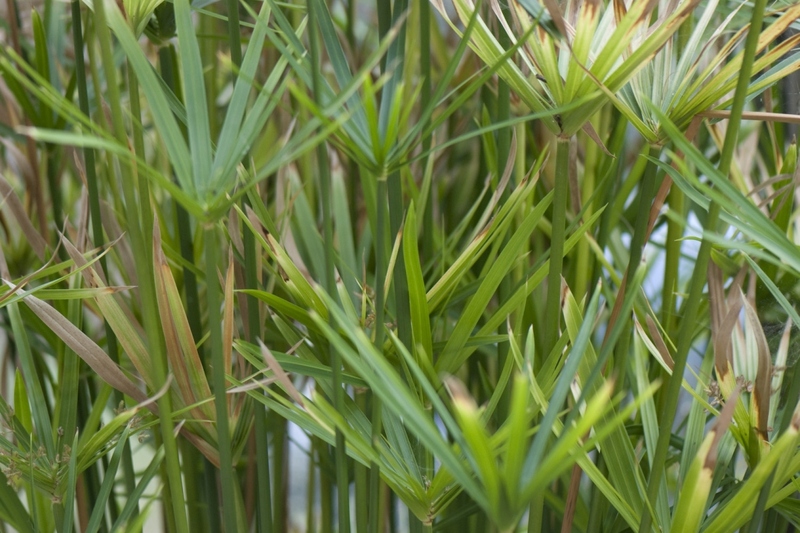 Papyrus (Cyperus papyrus L.): growing, planting, caring. The perfect houseplant for those who tend to overwater ! 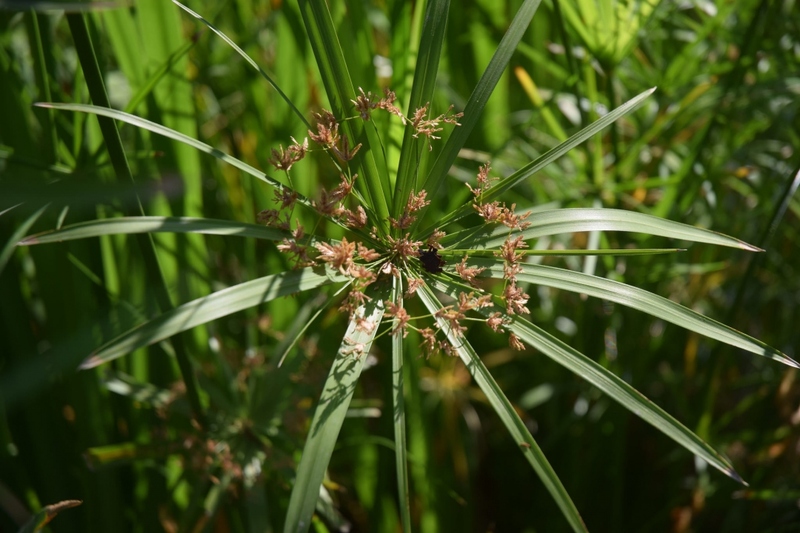 Scientific name : Cyperus papyrus L.
Cyperus papyrus is a species of aquatic flowering plant native to Africa, growing 4 to 5 m (13 to 16 ft) high in its natural habitat, and forming a grass-like clump of triangular green stems that rise up from thick, woody rhizomes. It is actually a very easy houseplant, growing quickly at a range of light and temperature levels. The papyrus found in our interiors, called the "umbrella plant" - Cyperus alternifolius - is not the Egyptian papyrus, whose stems were used to make manuscripts. The latter, almost 5 meters high, is a little too big for our apartments! Cyperus alternifolius is smaller, reaching barely 120 cm tall at maturity. Dense tuft composed of tall green tubular rods very straight, with green jade foliage, it grows almost all alone and without maintenance, provided it has its feet in the water all the time! Find it a favorable location, with at least a few hours of sunshine a day, and a normal indoor temperature. Place your pot in a pot holder, which can hold much more water than the traditional saucer. Outdoors - but only if your garden does not know the frost! - you can plant it, preferably in the spring, so that it has time to take root before winter, in a luminous situation, and near a water point! You can water it every time you pass close to its pot, even several times a day! Know that a short drought will not have dramatic consequences - the papyrus will reduce its growth ... But do not leave it like that for too long! In the spring, repot in a slightly larger pot, replacing a good part of the mixture. 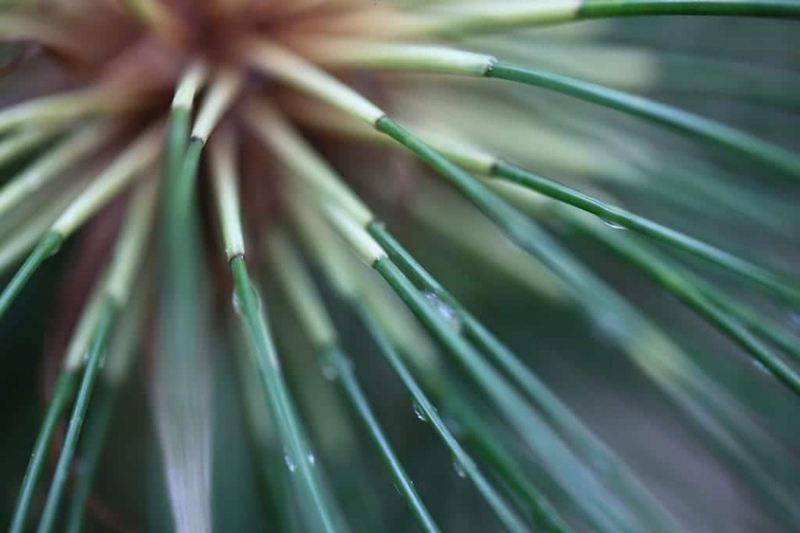 Papyrus is not very hardy and will not withstand temperatures below -5 °, especially if the frosts are prolonged. In a tank, watch out for the frost that may condemn your plant: then shelter your papyrus in a place protected from frost!